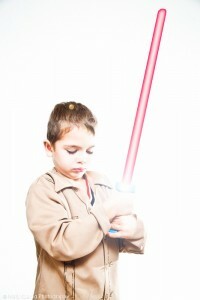 You are a Jedi Knight (seriously, you are). You have been enslaved on the Death Star for years but are implementing your escape plan. You are now stealthily searching for the controls to the tractor beam that is keeping your ship from escaping the hangar so you can finally fly to the Liberation Galaxy where you can live a life you’ve only dreamed of, doing things you’ve always wanted to do. Armed with only your lightsaber of truth you sneak around the inside of the Death Star searching for the controls to the tractor beam. Amazingly you find it without being detected and disable the beam that had been keeping you and your escape ship trapped. Now as you quietly and stealthily make your way to the hangar and your waiting ship your heart starts to race with excitement and anticipation. This is going to be freakin’ awesome you think as you secretly make your way through hallway after hallway avoiding droids and storm troopers. It had been many trying years of living on this Death Star and you were now finally going to escape. You make it to the hangar and see your ship. You stay hidden waiting for the perfect moment to make your move. But just when you think the coast is clear, just when you begin to think that you could really make this all come together and finally escape this Death Star, two shadowy figures approach. You recognize them instantly as Darth Uncertainty and his master the Emperor of Self-Doubt. Both have been extensively trained in the art of fear and their ability to brandish that power was well known throughout the galaxy. As they approach you wield your lightsaber of truth; it’s pure light shining brightly in the sterile hallway of the Death Star. Darth Uncertainty approaches first and draws his lightsaber. Its light sings forth and seems to tarnish the glow of your lightsaber of truth. “Where do you think you’re going Jedi?” he barks. “No one escapes the Death Star!”. The glow from his lightsaber seems to expand to fill the room as he speaks. You look at the now pale light emanating from your lightsaber of truth. Your mind begins to run rampant with all kinds of thoughts. Maybe he’s right. It’s safe here and there’s great luxury to be had. I wouldn’t have to worry about what might happen. And besides, where else in the galaxy am I going to get a decent haircut? I mean look at me, I’m starting to look like a Wookie! I could stay here and work for a bit longer, maybe get some more Jedi training, build my own Jedi mind control business first before venturing out. It would be nice to have that safety net. I mean he’s got a point, the galaxy is a damn scary place. But as soon as you start to think those thoughts you know what it means. Delaying your escape just condemns you to a life you could never be satisfied with. All those hours in the office polishing droids just isn’t what you want. And then as your confidence grows; as the light from your lightsaber of truth begins to shine a more brightly, you hear the voice of the Emperor of Self-Doubt speak up. Your mind switches gears once again. Maybe he’s right, maybe I don’t have what it takes. I don’t even have a plan once I escape this place. My skills are useless. I’ve never been able to do anything big and probably never will. It’s easier to do what people say is the best for me and live with it. This Death Star is just too hard to escape from. As these thoughts flood your mind the light from your lightsaber of truth begins to dim once again. You begin to feel weak and deflated and the confidence you once held begins to dissipate and evaporate away. Your Jedi mojo is now slipping away from you, replaced ever so insidiously with self-doubt and uncertainty. Maybe this wasn’t such a good idea after all? It seems so risky now. This is your episode where you write the ending. You have a decision to make. Do you cave and go back to a life of cleaning dirty droids and washing Wookies; always dreaming of what life could have been like? Or do you mercilessly attack Darth Uncertainty and the Emperor of Self Doubt with your lightsaber of truth and roar out of that hangar at full throttle never looking back? As our planned sabbatical departure date gets shorter and the list of things to do gets longer the dark force of Darth Uncertainty and the Emperor of Self-Doubt have raised their ugly heads and threatened to make all that we have worked and planned for seem impossible to accomplish. They’ve drawn their lightsabers and sent forth their dark magic to confuse, dissuade and demotivate our resolve. I expected this. It’s the lizard brain that Seth Godin talks about or the Resistance as Steven Pressfield refers to it. The resistance gains strength when we get too close to accomplishing something, prodding us to back off, take things slow, don’t rush, think things through a bit more. It works in conjunction with the lizard brain, feeding it’s hatred of change and risk. Neither is going away so in order to write this last episode of our story we have to find a way to either circumvent them or ignore them completely. How that happens is different for everyone. But we must persevere. Have you had to face down Darth Uncertainty and the Emperor of Self-Doubt? How did you overcome the resistance of the lizard brain? Self-doubt and uncertainty sure to have a way of creeping in and sabotaging our goals. The lizard brain is the oldest part of the human brain and it’s primary purpose is survival. I wrote a post about it on my blog several months ago. I called it the reptilian brain though. Hey Justin! I just read your post entitled “Are you behaving like a reptile”. Excellent read. I definitely recognize the behaviors of the reptilian brain in myself and frankly it’s not a good feeling. It seems the closer I get to reaching my goals the more that reptile hits me. You had a really good way to counter that by first recognizing it and secondly redirecting those thoughts to things that empower you and make you feel good. It’s definitely something I need to do more of. Really been enjoying your blog. So, I see you’re a Star Wars fan? 😉 Nice analogy there. I think loads of people must go through this – me included. Just when we’re about to pull the trigger on something (or when we’ve just done it), it’s easy to think – wait – should I have thought about that more? Given the amount of thought, planning and transparency you’ve put into this and your new biz, I’m sure it’ll be a success. Hey Tristan! Yeah, I’m a Star Wars fan but I don’t go so far as to dress up in costumes and have mock lightsaber duels in the living room (at least not as far as anyone knows). I notice I go through this when buying an expensive item. I research it forever. Then I go to the store and look it over, walk around a look at other things and then come back and look at it some more. Then I’ll ask all kinds of stupid questions to the sales person. Finally I’ll either buy it and then feel really bad about and and question whether I should have bought it or I’ll walk out and come back another day to do the whole routine over again. It’s been the same with this sabbatical. Are all my duck in a row? Am I prepared mentally and financially for this? Am I taking too many risks? It’s crazy when you really think about it. Why do we torture ourselves so much? Like you said, what’s the worst that could happen? Appreciate your support man! this is awesome. it made me smile in the midst of anxiety…i’m in episode 2 right now, but have set tomorrow as the date to give notice so hopefully soon I will be on episode 3! it’s helpful to know i’m not the only one going through this struggle of uncertainty and doubt. Thanks so much for commenting. You are definitely not alone in struggling with the fear of uncertainty and doubt. To some extent we all deal with it, some better than others. I just read your latest blog post and can certainly relate to what you are going through. I’ve had to confront many of the same thoughts and feelings. Good luck tomorrow!! Please let me know how things go. Cheers! I, too, am a Star Wars far and love how you weaved your message in with it. I have not read any of Seth Godin’s books but I believe that “lizard brain” refers to mediocrity. I come across many people who say that they are finally ready to transform their life; however, they feel overwhelmed and don’t know where to start. I know the frustration and I know the fear — I’ve been there and was living a mediocre life that seemed to just happen to me until I made the decision to live my life on purpose and advance to the life I REALLY wanted – one step at a time. settle for less than they desire. Hi Rachel! I think an life of mediocrity is one that many people sink into because it feels safe and it’s easier than actually working for something you really want. The mindset may be that this is the way things have always been so who am I to do it differently. The problem that I’ve found is that when you put your life on hold and get comfortable it’s just that much harder to break free of it. At least that is what I am finding now. BTW…we are a Star Wars loving family (at least the boys and I). My kids have Star Wars games for the Wii and Star Wars lego sets and we’ve watched all the movies too many times to count. It was fun to incorporate that into this post. Cheers! yeah, self doubt and uncertainty are pretty terrible foes. admittedly, they’ve beaten me on several occasions. as i get older, though, i have a better handle of myself. Hey Mack! What do you think it is about getting older that has given you a better handle on dealing with self-doubt and uncertainty? I can’t say that it has gotten easier for me. Hi Dia! I’m really glad that you commented and left a link because I checked out your blog and came across a post you wrote on The Power of Self talk. I really like what you wrote there and think it plays heavily in this subject of self-doubt and uncertainty as well as increasing our faith. If we always think and surround ourselves with negative thinking then we will most likely experience negative things in our life. But when we think and surround ourselves predominantly with positive thinking we’ll see positive results. And maybe that is where the practice part comes into play because often it is difficult to replace negative thinking with positive thinking. While I don’t think we can completely replace negative thoughts we can definitely change the ratio toward a predominance of positivity. And when we think in a positive nature our own self-doubt and fear of uncertainty will surely be reduced. I’ll definitely be reading more of your work. Cheers! Hi Matt, Brilliant post, really made me smile a lot, we have included it in This weeks World First Weekly Wander – which is a Hotlist for Travel Bloggers and Writers. Hey Tristan! Thanks so much for including my in your World First Weekly Wander roundup. So glad that you enjoyed this post. Found some other great posts to read in there that I’m glad I didn’t miss. Cheers! I think I’m at Episode III now. For the longest time I was stuck at Episode II, and even longer than that – about a decade – I was at Episode I. Climbing from Episode I to II took monumental effort – I applied for an Australian visa and got it! I never thought I could actually obtain the visa after the mass of documents I had to go through! I just want to say that your blog is so encouraging. For the longest time I didn’t know what I wanted. I didn’t understand why I wanted to leave my perfectly good job, and being an Asian and raised with the Asian work ethic (work hard, don’t think about yourself) it was a cause of great conflict within me. But now I know what I actually want: I want a sabbatical! The word just popped my eyes open and all became clearer. The fear and uncertainty is still there, but now I realise what I want!! I see that it’s only 22 days till you leave for Indonesia. Selamat maju jaya, Matt. 😉 I’m your neighbour – I’m from Malaysia. And if you ever drop by in KL, please drop me an e-mail and I’ll give you a nice Malaysian welcome. I’ve been to Indonesia a couple of times (mostly Bali) and it’s gorgeous. You’ll have a good time there. Susan Wanderlust recently posted..You’ve already made up your mind. You just don’t know it. Hi Susan! Terima kasih! So good to hear from you. Malaysia is definitely on our list of places to explore and since it’s just a short flight from Indonesia we just might do that. I wish I would have taken a sabbatical sooner in life. Looking back I can really see that I needed one. Instead I just did what most people do and plod along in life dissatisfied with the way things were going. Now I’m finally making it all happen. Congratulations on your Visa!! How exciting! I certainly am familiar with the vast amounts of paperwork required for anything dealing with the government. When my wife and I got married it seemed like the paperwork for a US visa was never ending. Best of luck to you and hope to meet one day in Malaysia. Cheers! Yes I do hope we meet in Malaysia one day too! Tell me, is it normal for people considering sabbaticals to constantly freak out, get anxious all the time and have sleepless nights (and mornings)? Because I’m at this stage. -_-” I just feel overwhelmed at the amount of things I have to do. Sometimes it seems so overwhelming I feel like turning away and giving up. Any advice for folks like me? Hi Susan! I am going through the same things that you describe right now. It’s crazy! Your mind starts to twist things around and come up with reasons why you shouldn’t be doing this. It’s like there is a part of you that is fighting you to keep you from experiencing and living life. It’s so easy to become overwhelmed and frustrated and then get depressed. I guess if there is anything I have learned so far it’s to keep moving forward with your plans even if it’s just a few small steps every day and to also get friends and family involved so that they can hold you accountable and can offer up support and help. Whatever you do never give up on your dream. There are books written about those planning a sabbatical, but while many concentrate on the practicalities of it, not many concentrate on the psychological preparation (and beating) one has to endure in the process. Unless you know a book like that, Matt? Oddly or rather, serendipitously, many people in my life are either on a sabbatical or have taken a sabbatical. What I’ve done to encourage myself on this road was to ask them questions about how they did it and why etc. Hearing their stories really help and I’m thinking of recording them on my blog. My sister, for one, went to the United States, quitting her job to start anew. (How ironic, while you’re heading our way, many of us are heading where you are). She told me that she was scared at first, but things got easier, and now she wonders why she was even frightened in the first place. Once upon a time, I was really afraid of travelling on my own in a foreign country. My mind would conjure up all kinds of scary stories. But since I had no choice (it was for work) I did it, and after the whole trip – eventhough I was scared a lot during the trip – I was amazed by how AWESOME the experience was and wondered what in the world was so scary in the first place. So, I’m likening our adventure to this experience… only on a much bigger scale. It’s frightening, but once you crossed the bridge you would have conquered a fear. 🙂 I think that’s worth taking the risk! PS: Hope you don’t mind me saying this, but … I’m kinda relieved you’re feeling the same way I am. I thought this was all “signs” that I shouldn’t be going! Thanks for this Susan. I never tire of hearing about the adventures of others. I think feeling this way is a sign that we SHOULD be going. As scared and uncertain as I am feeling I know deep down inside that I have to take this risk, I have to move forward and live my life on my own terms.